As house prices remain sky high. 2nds World managing director, Peter Hammerman shares his insights on the retail market and his expectations for the remainder of 2017. 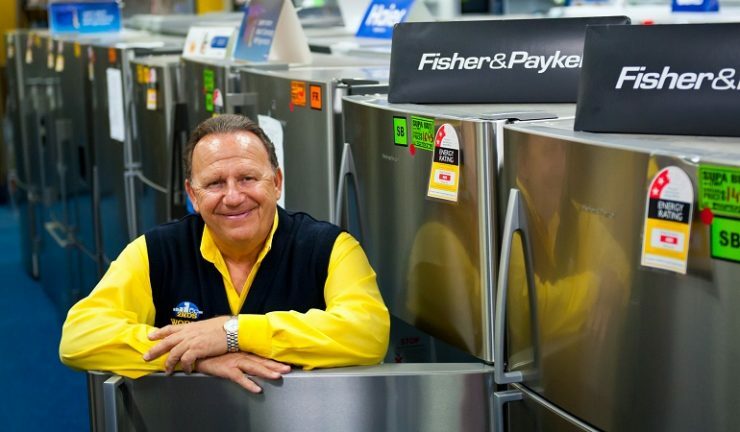 The biggest industry trend I have seen is… An increase in online sales for large household appliances such as French Door refrigerators, 8kg and 10kg front load washing machines, dishwashers and large panel TVs. There would be a percentage of customers who visit a retail store (even one of ours) and go home to research price, check reviews and purchase online. I believe many online customers are time poor and just want the product delivered and installed quickly. My industry prediction for the future is… Disruption with the arrival of Amazon, and with Costco, Bunnings and Aldi also expanding their offering, smaller retailers who don’t offer anything different will struggle. Poor service will not be tolerated by consumers so as an industry we need to be right on the money. My observation on the industry is… Quite positive. Business is good, consumers are renovating instead of buying as real estate prices in Sydney are very high. Cooking products in particular are doing well, partly due to the influence of TV cooking shows. I also think technology will play a huge part in the future success of retail. My message to suppliers is… Continue to support local retailers, both bricks and mortar and online stores, improve customer service by attending to customers in a timely manner, but above all allow smaller retailers to be competitive. Small fish are sweet and if suppliers only support multinational companies they will have all their eggs in one basket and that will be dangerous. I am positive about the future and I believe if we offer our customers the right products at the right price, deliver in a timely manner and offer exceptional customer experience “she’ll be right mate”.